Flowers are timeless. They have been used for centuries to mark the best and the most auspicious of our occasions, and continue to hold their own place in the world even today when everything is being replaced by technology. Be it a farewell, a birthday, or a wedding, flowers still remain to be one of the best and most meaningful presents anyone could get. Flowers have a special place in weddings, where they are used to decorate the event. The colors, the meanings, and the visual softness that flowers bring to a wedding are all unmatched by any other decorative feature you can think of. Choosing a wedding flower, however, is harder than many people think. With so many types of flowers available, many people don’t know which one to use for their wedding day. This is a guide to shed light on some of the most popular wedding flowers you could choose. Okay this one is pretty predictable. Why is that? Because the rose is the symbol of love all over the world. Probably the most recognized flower anywhere, the rose makes a beautiful wedding flower thanks to its various colors and its ability to play well with almost every other wedding flower. Roses are used in various colors as decorations and table arrangements. Other than looking beautiful, the rose makes a wedding look that much more special because of its universal meaning. Another flower that can be found in a plethora of colors, the tulip is a choice that is sure to make your wedding look special. With its long petals that taper towards the top, and its slender stem, a tulip flower says ‘elegance’ like few others. The flower symbolizes love and good wishes for the future, which makes it even more attractive as a wedding flower. You can use any hue of the flower you want, from the pastel pink, yellow, and peach to the vibrant red, magenta, and purple. If your wedding theme is subtle and elegant, you can even get white or cream tulips for your table arrangements, bouquets, and more. Sometimes it’s nice to have a flower that can fit in anywhere and make a composition look beautiful. That is what Hydrangea does, with its numerous petals and volume. The flower itself symbolizes vanity, and can be had in various shades of pink, purple, burgundy, and blue. This is the perfect choice for filling up some bouquets or adding volume to table arrangements. If ‘happiness’ is the message you want to be seen at your wedding, choose this flower for your decorations. The soft petals that have a volume enough to fill up your arrangements are worth every penny you’ll spend. The light pink color they are seen in is perfect to be part of a wedding. Their fragrance is another factor that is sure to add another layer of elegance to your event. If you want the colors of the rose and the beauty of the peony bundled up in a less expensive package, look up the ranunculus. This flower has many blossoms on a single stem, as well as a mild scent. It can be used in single-stem as well as bouquet-like arrangements. You can choose from shades of orange, yellow, pink, and white. The ranunculus is especially suited to be used in bridal bouquets, thanks to its charming and attractive anatomy. The calla lily looks something like a trumpet from the top, which is why it can easily be distinguished from a horde of other flowers. From an elegant ivory and a mysterious purple to bright yellow and orange, the calla lily can be used in any of these colors to make your bouquets look like none other. This flower symbolizes beauty, which is why it is a very popular wedding flower. There is a smaller version of the flower as well that can be used in boutonnieres and nosegays. Nothing says ‘modern’ than a flower that has a deep colored center with a pale surrounding petals. The anemone is a staple in modern weddings where being minimal is a priority. The flower itself has a very striking look to it that is sure to get the viewer’s attention. It can also be paired up with more colorful flowers like peonies to create a visual contrast. The beautiful and minimal orchid is a flower that is used in weddings that have either a traditional or a modern theme. That alone is enough to testify to this flower’s exotic beauty. Deep purple orchids surrounded by waxy green leaves are some of the most modern flowers you will see. They are also available in white and green. 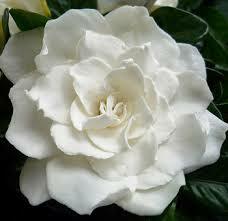 There is no other way to put this; the gardenia is simply beautiful. The ivory-cream petals that are surrounded by green leaves is perfect to be worn as a corsage or as a hair accessory. You can use the gardenia as part of a bouquet, but where it really shines is in its individuality. Placing this as a centerpiece in a water bowl will add a world of elegance to your wedding arrangement. So whether you’re going for a traditional wedding or a modern one, you can be sure to find the perfect flower for it. Going through this list, you should now have an idea which flower will be better suited to make your special day perfect, and we hope to have helped you with this guide.